The Civil Marriage Protection Act passed the House with support from a Prince George’s County lawmaker who helped kill the bill last year by walking out of a voting session. The House passage puts Maryland on the verge of being the eighth state to allow gay nuptials. The legislation still must be taken up in the Senate, which last year passed a similar bill and is expected do so again. The chamber will likely debate it next week. 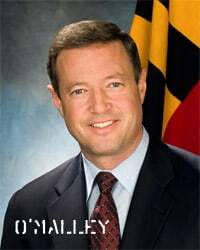 The House vote is a major win for O’Malley, who threw the weight of his office behind the measure after a similar bill fell a few votes short in the House last year. The governor had been working the halls of the House office building at all hours to convince wavering delegates. One of the amendments passed delayed the date of enactment from October to January. Another created a non-severability clause, such that if the religious protections are overturned by the courts, the entire law would have to be deemed invalid. The measure still has to advance through the Senate Judicial Proceedings Committee and full Senate, and even then, it is likely to be challenged by a referendum.